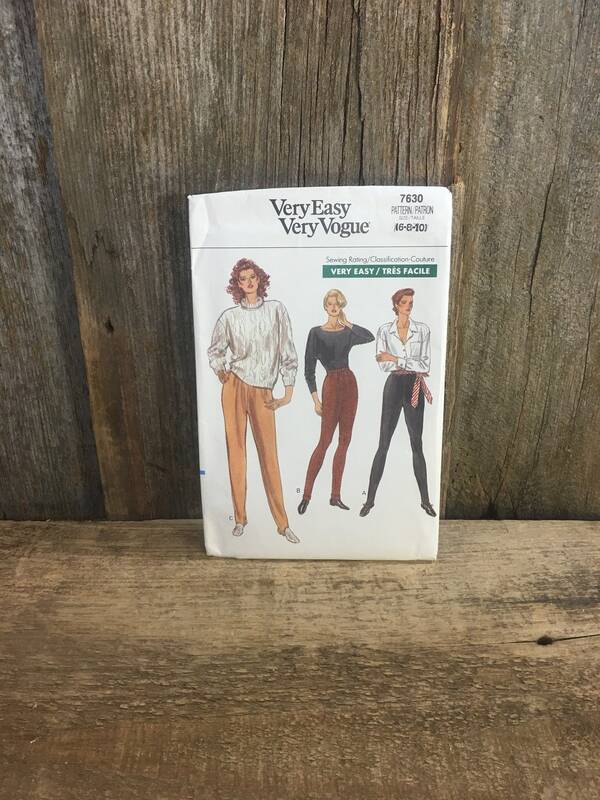 Vintage Very easy very vogue sewing pattern. 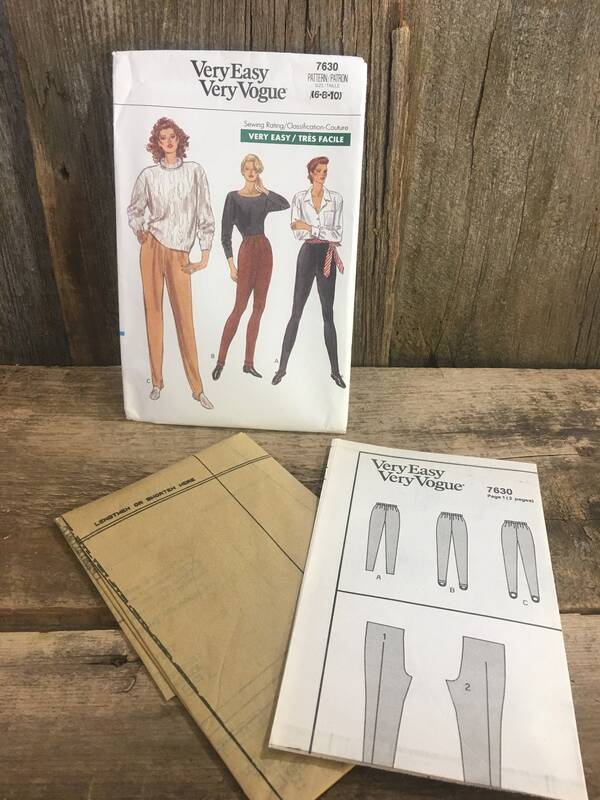 Butterick pattern 7630, uncut from 1989. Misses pants, very tapered pants have elastic waist, close fitting through hips or loose fitting through hips. 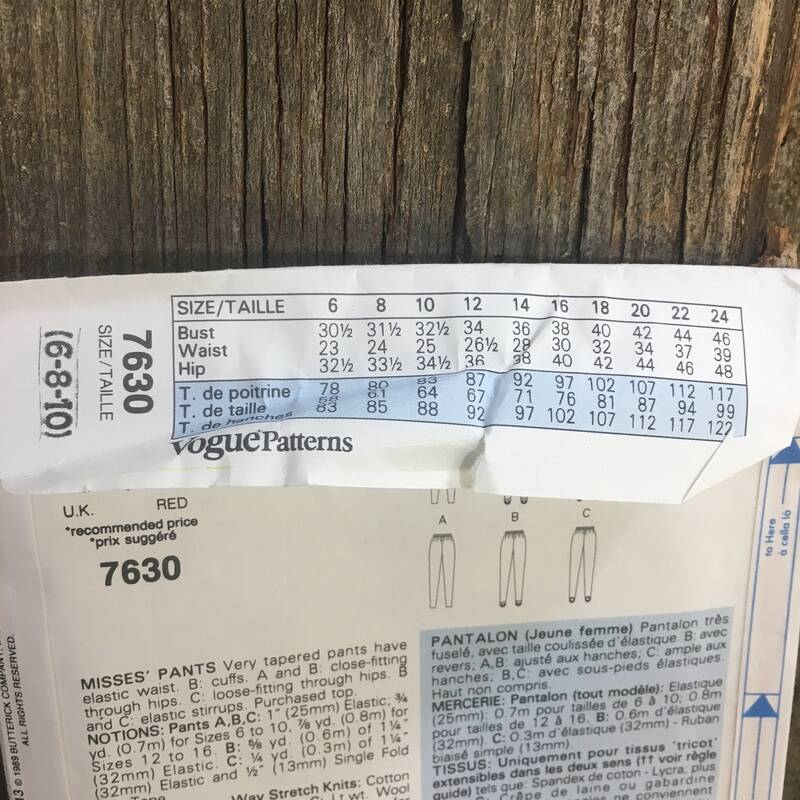 This pattern is sized 6-8-10. Uncut with instructions in a slightly worn envelope. 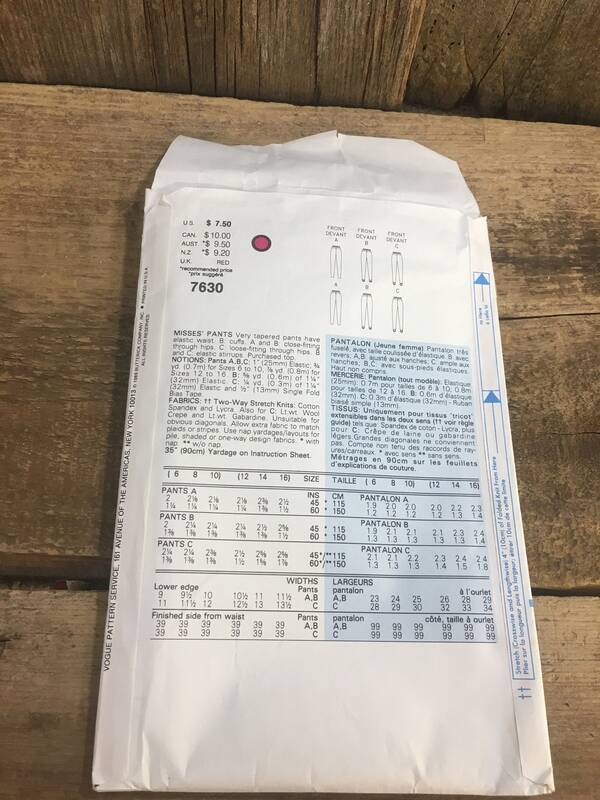 Packing material is all recycled, so you are not receiving a cute package, but it will be wrapped with lots of care.